I’m living inside a candlelit Christmas fairytale on the outskirts of Stockholm, listening to carols, sipping mulled wine and absorbing the scents of cinnamon and cloves. If this is Christmas Hysteria (my friend Helen’s description of her “condition”), I’m happy to be infected! This sounds (and looks) like the best possible way to be absorbed by Christmas! Yes, it’s going to be hard to leave the cosiness and company behind. What a fabulous picture, conveying the warmth and excitement of a family Christmas. Mulled wine – I hadn’t thought about it this year until reading this – now there are a few items to add to my shopping list! Yes, I’ll be looking out the ingredients too when I get back. It’s a beautiful time of year to be in Stockholm. 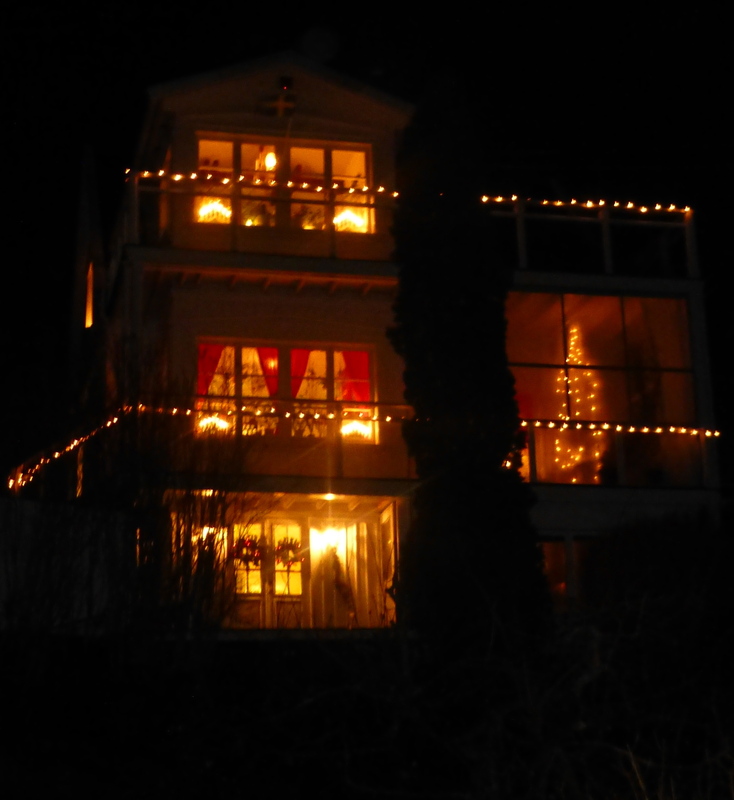 I’m loving it, and tomorrow there’s the annual festival of light, the celebration of Lucia. All the ingredients are here, except for snow. Maybe tomorrow. “Sweden” that gives me Christmas joy. but Finland, that’s another story. Yes, this is certainly the place to be in December. Be careful of that mulled wine. It can pack a punch! But it’s so good! Mmmm, delicious. And the Christmas candy and Lucia cake, and gingerbread and …. just as well I don’t live here!